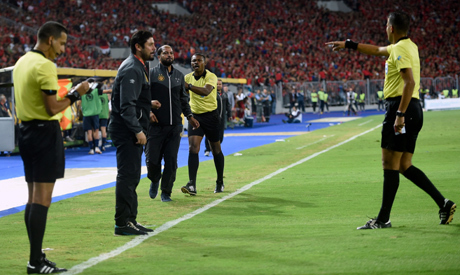 The Tunisian Football Federation (FTF) said on Saturday it would hold an emergency meeting of its disciplinary committee following the refereeing controversy that engulfed Friday's African Champions League final first-leg between Esperance and Egypt's Ahly. Ahly took a comfortable first-leg advantage after beating Esperance 3-1 at Alexandria's Borg El-Arab Stadium on Friday, thanks to two penalties from winger Walid Soliman and a goal from midfielder Amr El-Sulaya. Youcef Belaili scored Esperance's only goal via another spot-kick in the second half. "As a result of the incidents that occurred in the Champions League final first leg … Tunisian Football Federation President Wadii Jarii has called for an emergency meeting of the disciplinary committee on Saturday at 6:30 PM to take the appropriate measures," the FTF said in a statement on its official website. The second leg will take place in Rades, Tunis on Friday.